Click on Trackers, then select your tracker. 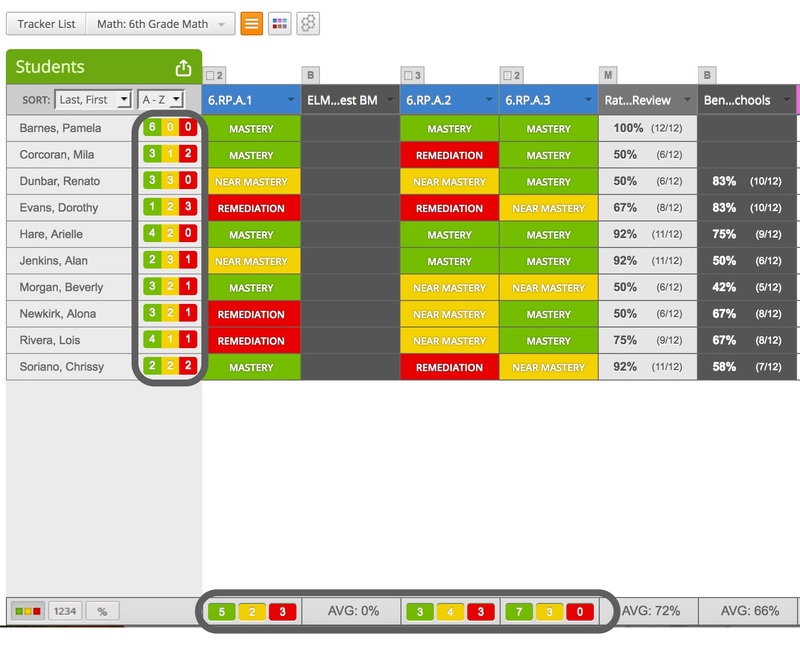 The tracker gives you a birds-eye view of mastery for each standard that has been assessed. 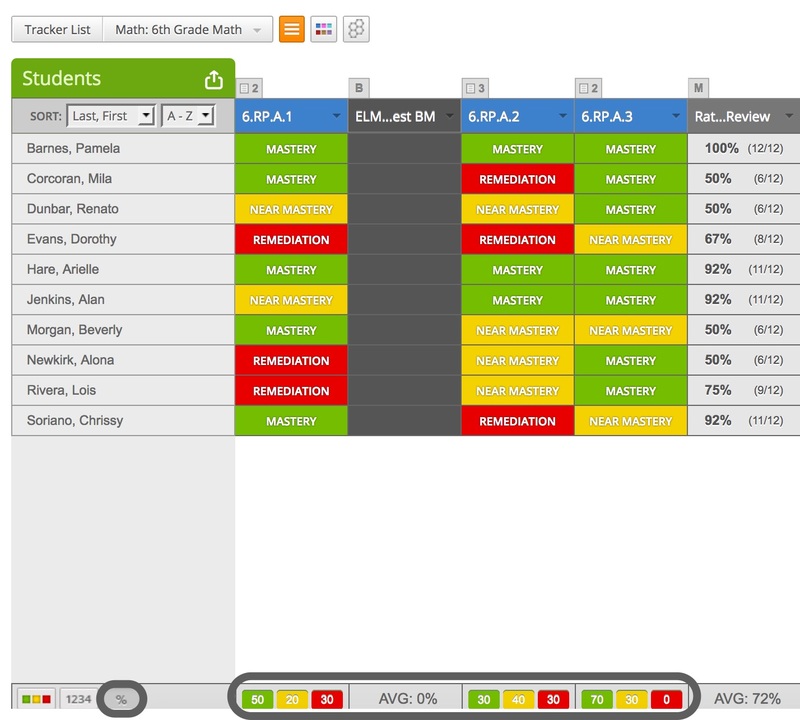 Click the colored boxes button (under the student names) to see the number of standards in each mastery level. The colored boxes on the right of the student's name shows how many assessed standards the student has in each mastery level. The colored boxes at the bottom of each assessed standard show how many students in the class are at each mastery level for that standard. Click on the percentage button at the bottom of the tracker to view percentage of students in each mastery level of an assessed standard.